What Are the Dangers of Bentonite? David H. VerEecke began writing professionally in 2008 and focuses on health and fitness topics. He has been published in Respondez!, the University of Tampa's nonfiction journal, and sits on the editorial board for the book currently. He has a B.S. in finance from the University of Tampa. Sodium bentonite is naturally forming clay used in several different applications from industrial sealants and cat litter to food and personal care products. Sodium bentonite, called the “clay of a thousand uses” because of its versatility. Bentonite can absorb five times its weight in liquids and can even absorb charged particles from solutions. Bentonite appears to be a lung and eye irritant and depending on its source, it could contain toxins. Safety tests conducted show bentonite as a safe product, although the tests were not extensive. It is important to know what application bentonite is used for so that it can be safely used. Manufacturers use food-grade Sodium Bentonite to reduce the cloudiness of liquids such as wines and vinegars. Wine makers also use it as a sealant for wine barrels. Sodium bentonite works by exchanging its sodium atoms for other particles in a solution. This can lead to an increased sodium level in the clarified liquid. According to Purdue University professor Christian Butzke, the levels of sodium in wine are not significantly high enough to cause concern over sodium bentonite’s use. In food-grade sodium bentonite, levels of impurities are controlled including toxic metals like lead and mercury. However, using industrial grade bentonite in food products could present a danger to a person consuming a product treated with industrial grade bentonite, which is far less refined. According to the book “Bentonite, Kaolin and Selected Clay Materials," the FDA generally regards bentonite as a safe food additive. Bentonite as a powder, poses an inhalation risk to an unprotected user. Industrial workers often suffer from inflamed lungs due to breathing in bentonite powder and its impurities. While bentonite itself does not have any carcinogenic effects according to a Material Safety Data Sheet (MSDS) provided by Reade Advanced Materials a bentonite supplier, the impurities mixed in with the powder cause the most damage. Powdered bentonite has several applications from kitty litter to animal feed and therefore it can be hard to escape its presence. 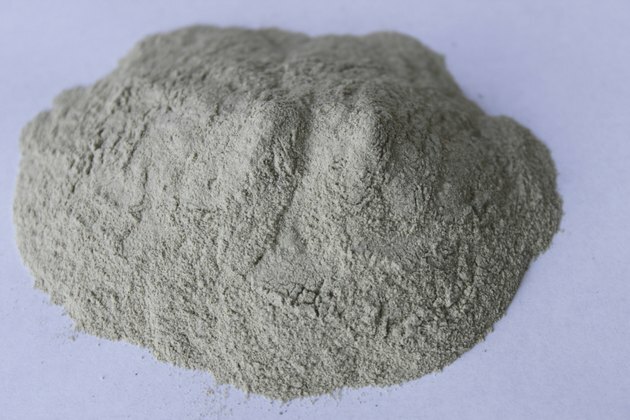 Bentonite powder can also be a skin and eye irritant according to the MSDS. When working with sodium bentonite, it is a good idea to wear proper safety equipment to mitigate its potential to cause harm. Bentonite is a common ingredient found in many personal care products including makeup, facial cleansers and facial masks. In 2003, the International Journal of Toxicology released a report concluding that sodium bentonite among other substances used in cosmetics was safe as currently used in cosmetics. However, they did point one thing stressing their concern over the same inhalation dangers represented by powdered bentonite. Bentonite use in cosmetics as a mask in a liquid form mitigates the inhalation risk. Some masks are packaged dry and the consumer just needs to add water. In this case, consumers should be careful when mixing the mask with water as not to kick up the bentonite clay and breathe it in.